DLA Piper is a global law firm which has a presence in more than 40 countries throughout the Americas, Asia Pacific, Europe and the Middle East, providing a broad range of legal services to local, regional and international clients. Antitrust and Competition: permits for concentration; for concerted practices, leniency program advice; advice on protection from unfair competition, compliance advice and audits, obtaining preliminary conclusions from the AMCU; abuse of dominant position; advice on commercial agreements and trade practices, natural monopolies and public procurement; support during investigations by the AMCU, as well as competition litigation. Corporate and M&A: setting up and termination of businesses, corporate governance, M&A, including due diligence, corporate restructuring and reorganization; corporate investigations and compliance and legal support of day-to-day operations. Finance and Projects: M&A and regulatory work in the banking and finance sector, asset, debt and capital markets transactions, structured finance, project finance, real estate finance, aviation finance, debt restructuring projects, infrastructure and PPP projects, litigation in debt and insolvency-related matters. IP and Technology: registration and protection of IP in Ukraine and overseas, IP portfolio management, IP due diligence, structuring of IP ownership and commercialization of IP, unfair competition issues, parallel import and counterfeits, licensing and assignment agreements, IT outsourcing, Internet, e-commerce, domain names and telecommunications, data protection, software and hardware, technology transfer. Labor: employment contracts, personnel policies, employment law audits and due diligence reviews, data protection, employee rights, employment-related tax issues, termination matters, employment litigation. Real Estate and Construction: acquisition/sale and lease transactions for real estate and land; registration of associated rights; establishment of business presence, expansion and structuring of retail business, construction and planning matters, industrial and infrastructure projects, real estate due diligence, structuring of real estate transactions and construction investment projects, real estate contracts, mortgage lending and environmental issues. Tax: corporate tax, VAT and customs, tax driven restructurings (domestic and international), as well as M&A transactions from the tax perspective, tax due diligence, reviews of tax profiles of entities, tax controversy, litigation and transfer pricing. In 1991, with the dissolution of the Soviet Union, Ukraine inherited one third of the Soviet military-industrial complex. That is, 1,840 enterprises and approximately 2.7 million workers1. Despite such a vast inheritance, severe economic contraction, pervasive corruption and poor corporate governance have all contributed to significant obstacles preventing the transformation of the Soviet-era defense industry into a modern technological power2. Military action in Eastern Ukraine highlighted the dire need for reform within national defense industry, which is now an urgent matter of the national security and territorial integrity for Ukraine. In addition to clear strategic necessities, reform of the defense sector holds tremendous potential from an economic point of view. According to the Global Aerospace and Defense Sector Outlook 20173 report, an increase in international demand for defense and military products stemming from the resurgence of global security threats and rising global tensions is likely to result in strong augmentation of the global defense industry, with positive revenue growth for market participants. Such a positive outlook might represent numerous opportunities for economic development and attract investment to the Ukrainian defense industry. 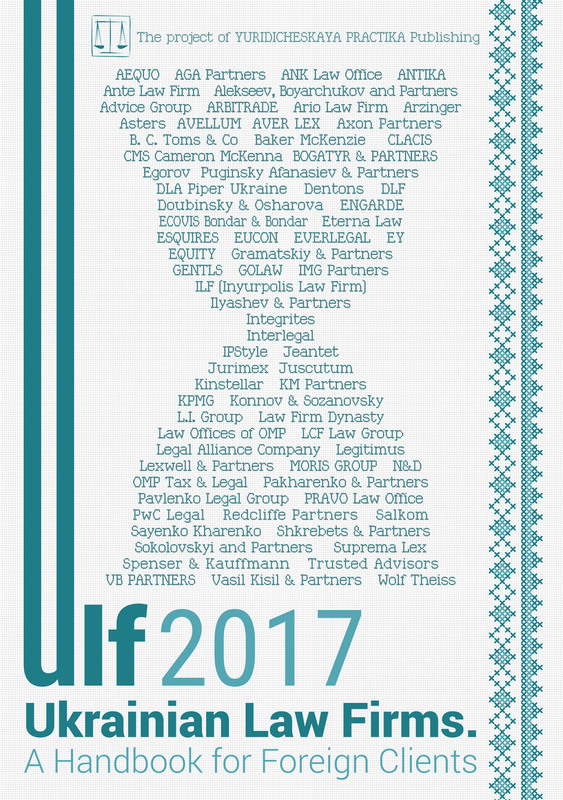 Ukraine’s defense industry is organized principally around state-owned enterprises (the SOEs) managed by Ukroboronprom (the UOP), which is the largest state defense holding group with over 130 subsidiaries operating in five major industries as well as in R&D and export-import activities. There are also more than 90 privately-owned entities across the sector. During the last few years a number of strategic documents regulating the sector were adopted, which have laid down solid groundwork for the development of the sector for the next several years. Unfortunately, these documents do not provide a sufficient basis for the current effective functioning of the sector and the adoption is required of numerous acts of secondary legislation, such as the State Target Program of Reforming and Developing the Defense Industry for the period till 2020 . According to Transparency International, the defense industry, with its huge contracts and high secrecy, poses unique corruption risks4. In fact, it is estimated that every year at least USD 20 billion is lost because of corruption in the sector through single-source contracts, overpaid agents and other forms of corruption5. In Ukraine, the defense industry is generally perceived as a highly opaque sector, a fact that discourages large investors from entering the market. One particular example of such a lack of transparency is that procurement of more than 90% of armaments and military equipment is designated as a “state secret” by Ukraine’s defense authorities6. As a result, the lion’s share of goods and services under the State Defense Order of Ukraine is procured through single-source contracts tending to result in excessive prices and lower quality of goods7. Another significant problem is the lack of clear corporate governance and the fragmentation and scattering of state ownership among numerous stakeholders (Ministry of Defense of Ukraine, Ministry of Internal Affairs of Ukraine, State Space Agency of Ukraine, etc). This lack of central control over the sector tends to result in the frequent overlap of powers, numerous conflicts of interest and poor quality management. Strong cooperation between market players, especially cooperation between SOEs and private enterprises, is considered to be one of the key factors for successful growth of the defense industry. It facilitates the implementation of new technologies and solutions, which might not be otherwise affordable to companies working independently with their own resources. In Ukraine, there are still no effective mechanisms for cooperation between SOEs and private investors. Worse still, there are a number of outdated legal restrictions preventing the establishment of such mechanisms. For example, the CMU’s Decree No.24-92 of 31.12.1992 stipulates that Ukrainian SOEs, with some minor exceptions to those in the aircraft and construction industries, are not allowed to found any type of enterprises. Another notable example is the legal prohibition for the establishment of commercial enterprises on the basis of state-owned property unless the Government’s share in such enterprises exceeds 50%. In our view, these as well as many other regulations of a similar nature significantly restrict the ability of private market players to form strategic partnerships with SOEs and do not provide investors with sufficient protection. The priority issue that needs to be addressed here is the role of UOP in export/import control activities. Specifically, according to CMU Resolution No. 838 of 8.06.1998, business enterprises seeking to export military goods must coordinate all transactions related to military goods with UOP, obtain the UOP’s consent for entering into certain types of contracts and, in some cases, agree preliminarily with UOP on the approximate price of military goods. Given that UOP is not only a regulator of the system but also a key player on the defense market, this might be considered a serious conflict of interest. The issue of limiting the UOP’s authority has been actively discussed on the market in recent times with a number of proposed potential solutions to the problem, but unfortunately, there is no unanimity on this issue between the state bodies responsible for reforming the sector. Another issue on the export/import reform agenda is updating the Ukrainian export control lists of goods so that they conform to the items controlled on the multilateral export control regime lists. Management of a large number of SOEs in Ukraine by different stakeholders has, as stated above, proved to be inefficient. Furthermore, the maintenance of SOEs comes at a high cost for the Government and subsequently ends up being paid for by Ukrainian taxpayers. Although there is a general understanding of the necessity to privatize SOEs in different sectors, SOEs in the defense sector are currently carved out from privatization. We, believe that the privatization of all SOEs which are unprofitable and/or ineffective and are not defined as strategic is a wise move. The goal, therefore, should be to have privatized (without Russian ownership, as provided by legislation) SOEs through open competition tenders, which will help to transform them into companies that buy/sell/seek investment in developed world markets. Despite the enormous inherited and acquired potential of the Ukrainian defense sector, it is generally not regarded as an attractive area of business at the current time. Comprehensive reform of the sector should be conducted, which should help connect the Ukrainian defense industry with 21st century processes already developed and implemented in NATO countries, making it more transparent, accountable and efficient. Fortunately, there are numerous international best practices that can be followed to facilitate the implementation of such reform and to maximize its results.